Enjoying the salt air as a part of my cleansing at the beach I grew up on. I have been a chef in NYC for the last 5 years, and working in a kitchen is a hard place to resist temptation. Therefore, I have not been able to do any type of cleanse while working a full time job in a busy restaurant. 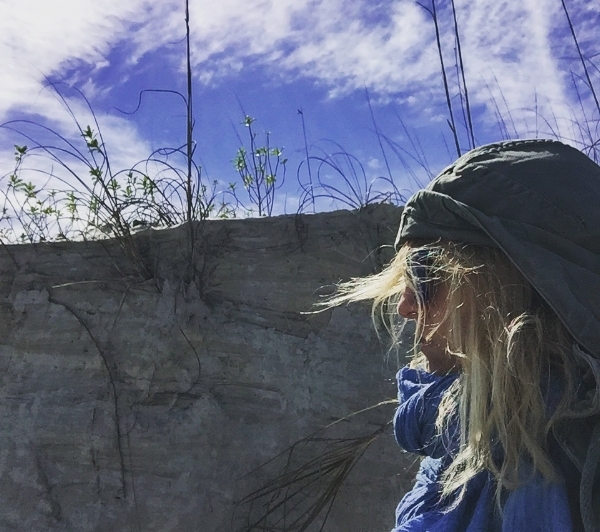 Earlier this year, I had an opportunity to leave the city and go to North Florida for a month – maybe the perfect time to experiment with a detox? I would be in the middle of nowhere, in a big house with plenty of kitchen space, and organic food conveniently available. Yes!!! A controlled environment could help me get good results. My plan: cook 90% of my meals, minimize gluten and processed foods, cut sugar and animal protein. I really wanted to eat organic, local ingredients, and limit myself to one coffee per day. What I hoped to achieve was an increase in energy levels, improved sleep, and eliminate stomach cramps – something I suffer from at night potentially caused by certain foods. My guess is late night eating and sugar. For anyone who is a major health nut this would be a breeze, but I needed to be honest with myself and do what I thought to help achieve success, paving the way for more intense (and hopefully more impactful) cleanses in the future. My Action: I started each day with 16oz of hot water, a small cup of coffee, and a smoothie. Then I would eat a vegetarian lunch, like a salad, an avocado toast on sprouted bread, or a curry. I would eat nuts, hummus and veggies, and buckwheat crackers with nut butter for snacks. Then I would eat an early dinner, so I had plenty of time to digest. Dinner would be vegetarian, unless I was feeling low energy. Then I would have some fish, or eggs. This scenario was uncommon, but I wanted to leave myself the option. Unforeseen Obstacles: invitations from my Grandma Merle. She is 85, cooks southern food, and is the reason I became a chef. I love her cooking. She shaped many of my childhood memories involving food, cooking, and eating, so when she calls you over for dinner, you go. She doesn't change her menus for your dietary restrictions; you get what you get, so I ate around the country ham, her sugary, mayo-laced coleslaw, (world’s best, according to her) and shepard’s pie. When she made mac and cheese, I had to go for it, but ate very small portions and doubled up on salad. I ate in a few restaurants because I was invited, and the company was more important than my politics. I ate Mexican, Thai, and Greek food. The Result: all the meals I prepared from home were delicious, nutrient dense, and satisfying. And I didn’t experience any negative backlash from eating in this format! I did still have sugar cravings, and allowed myself to keep 1 bar of 70% dark chocolate in the house to eat in moderation of course. A mild dip in energy because of the carbohydrates in Grandma Merles cooking was the only setback I noticed, which surprised me to be sure! When I ate out, I stuck to vegetarian dishes, and the result was no shock. I felt bloated, lethargic, and crampy! I speculate the food was loaded with extra sugar, salt, and fat. Take it from a chef, restaurant food is the furthest thing from health food. I will conclude by saying a more in-depth detox, would provide greater results. I would like to try a 3 day juice cleanse to give my gut a nice break, and work on making my way to become vegan. In the meantime, I eat clean when I am home. I cook food that nourishes my mind and body, but when I walk out my door I become human. I cannot resist all of life’s temptations, but I can make conscientious choices, and try my best to avoid things that don’t contribute to my well being. The goal is to enjoy your food slowly and completely. Chew well, and when you can’t…drink it. Check out Recipes for my fave drinkable meals!